Established on the concrete coast of NYC in 2000, Downbeat Productions have been continuously pushing their sound of bassline breaks in full force onto the scene. With a slew of quality releases under their belt, Downbeat’s catalogue truly shines in top form. Each and every release is carefully selected to match the labels well known style and sound in order for them to continue their reign as the leaders of tear-out breakbeat. 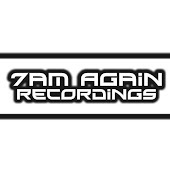 With their roster of large scale talent such as Backdraft, Dub Elements, Ribs & IG88, Specimen A, Shodan, D-Ranged, Dom Almond, Ceos, Guerilla Tech and Eskmo to name a few, you know there’s no stopping the future of this label. As well as their releases, the Downbeat cru have also put together many one offs and weeklies all over the North East. To showcase their talents and the labels sound, Downbeat’s DJ’S have also performed in all corners of the US as well as in Spain, the UK, and Canada. There’s plenty more madness planned ahead, with loads of monthly singles, ep’s and albums ready to roll. So keep your ears open.